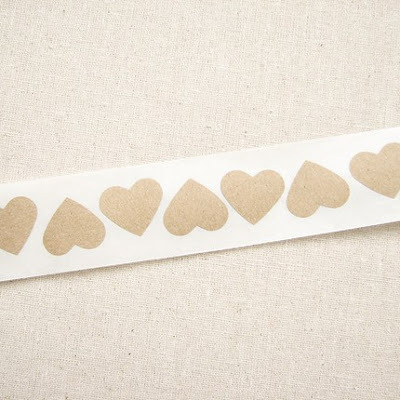 Whether your packaging up Valentine's day cards, cookies for the office, or items from you shop, why not get in the spirit with some pretty V-day themed embellishments? I now really want a stamp with "B+C" on it. So sweet it almost makes my teeth hurt. Almost. it's never too early for getting prepared for vday! great idea! I love love love that jute twine. I'm making homemade Valentine's cards this year and I'm going to use jute twine and baker's twine. I love the look. 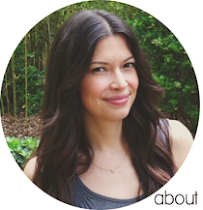 PS: A "B+C" stamp would be adorable (if you find a good one, let me know: that's my and my b/f's initials, too)! oh that jute! Need it! WAHHHHHHHH!!!! so adorable! and is that dreaded holiday looming?!? bleh! i am such a killjoy! Oh what cute finds. Love the kraft hearts--genius! I have just fallen back in love with jute twine....so sweet! 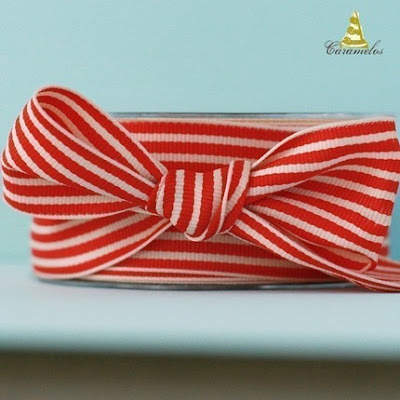 Love the grosgrain, love the little airmail kit, LOVE the stamps! I wish everyone sent snailmail every day of the year. Wouldn't that be lovely? 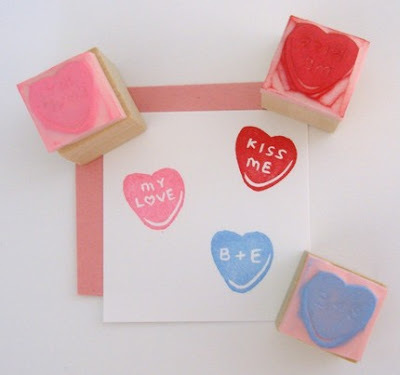 Love the rubber stamps - sweet on a note or letter. It's official. I've fallen for the heart stamps. Better get a bf pronto...where to start Christina, where??? errr?! 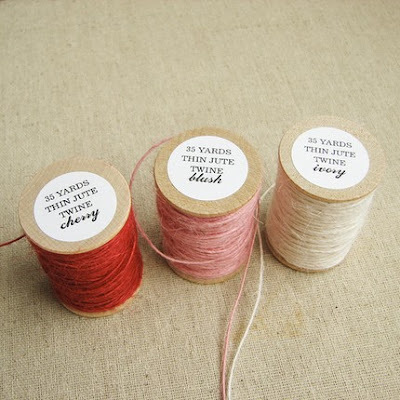 Oh that jute twine is calling my name... and I so want a J+T stamp... 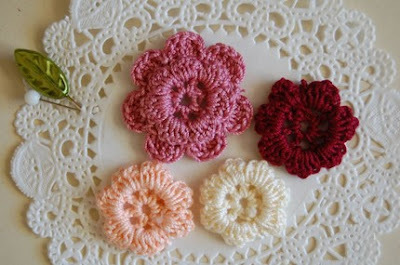 I might need to figure out how to make my own! i love stationery! sooo cute! 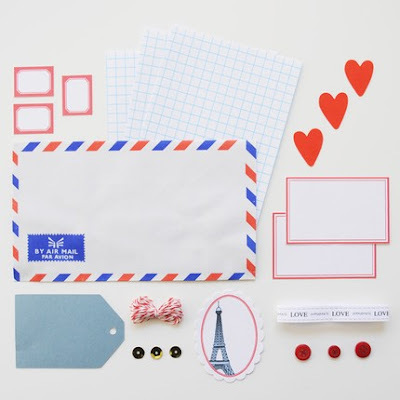 That air mail DIY kit is to DIE for! I've been thinking about doing something just like that for weeks now!